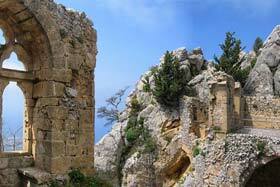 You will enjoy visiting interesting places and villages when holidaying in Northern Cyprus. 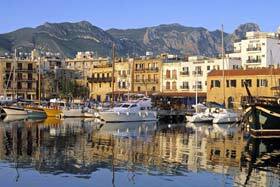 The foothills of the Kyrenia range are dotted with many lovely villages in North Cyprus. All have common characteristics and historical antecedents. They were old settlements, original hamlets of the Lusignan period or from an earlier era. The people of Cyprus refrained from establishing civil facilities next to the sea because of terrorizing pirate raids. 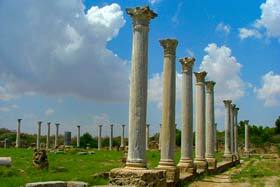 North Cyprus villages were located on hills or in fertile valleys in the mountains. It was a wise decision to take shelter on higher ground where the people easily observed approaching vessels. The higher altitude also meant cooler weather, better landscape, proximity to firewood and abundance of potable water. 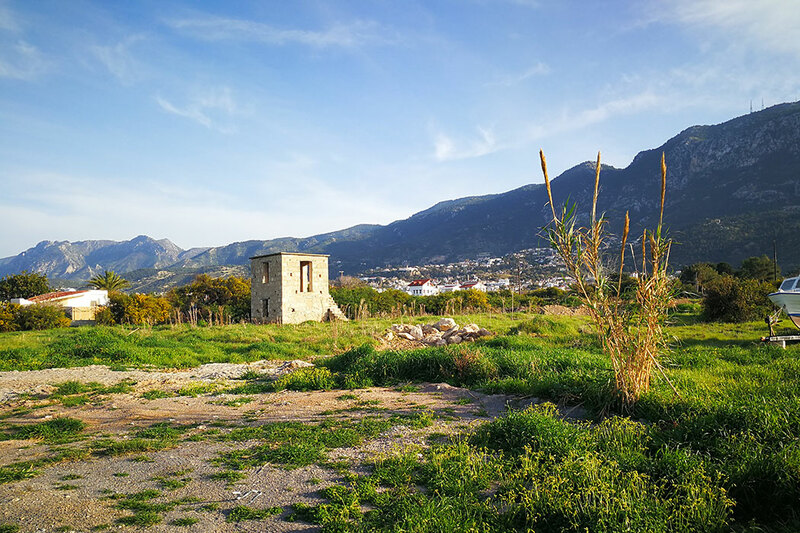 The few mud-brick houses of such villages in North Cyprus have changed into modern residences of today, as in Karmi, Lapta, Çatalköy and Karşıyaka. Please take a look at the map of North Cyprus and you will see these pearls strung along the Kyrenia range. 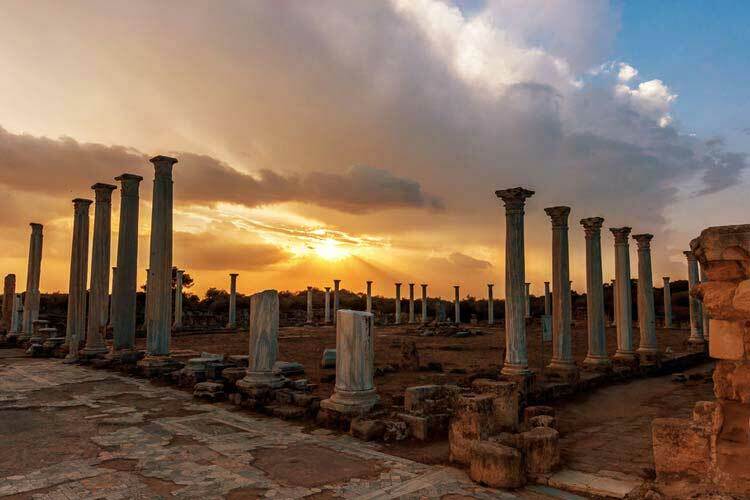 Karmi village has one of the oldest Bronze Age settlements in North Cyprus. There are elaborate Bronze Age tomb structures and burial chambers. A unique funerary stele was discovered here which may be the largest of its kind in the island. The excavation was carried out by JR Stewart, in 1960, of the Melbourne Cyprus expedition. The peak of St Hilarion is visible from anywhere in the village. This might mean that both places were in close contact. An old road from the castle reached the shore via Karmi and Edremit. It would not be mistaken to imagine the knights of the Lusignan dynasty with their colorful costumes riding with their companions through Karmi. The Latin influence is evident in the medieval church of Karmi. Karmi is one of the most beautiful villages in Cyprus. 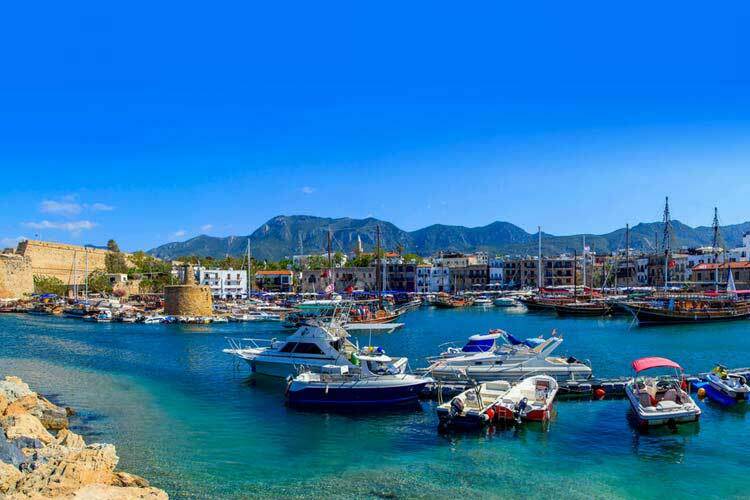 The landscape is superb, the villas and houses are in aesthetic harmony with Northern Cyprus. A predominantly Mediterranean mood can be seen in the architecture. 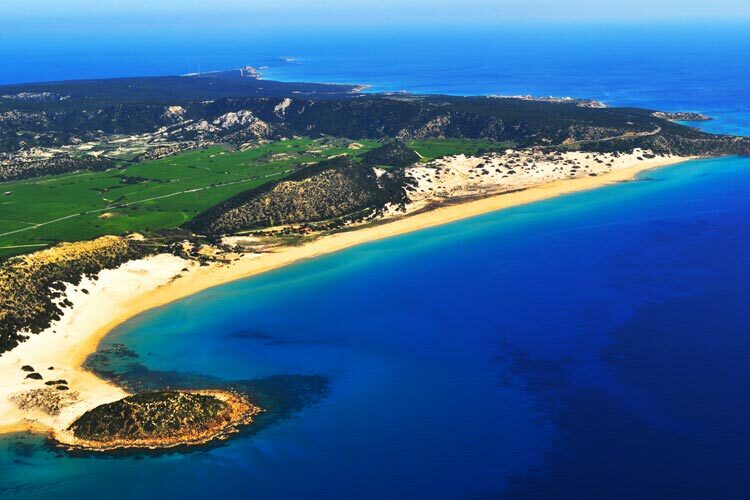 Such a complete picture of North Cyprus and its nature gives you a striking impression of our island. You can leave your car in the village square and start your tour. Next to the car park there is a lovely medieval church. The blue gothic door and the belfry are interesting features of this church. The walk around the village is very refreshing; the narrow streets are named after the flowers of Cyprus. You can actually see these flowers flowing over the fences and walls; geranium, jasmine, bougainvillea and there are water lilies growing in an old cistern. The houses and their gardens are very pretty. The lovely atmosphere of the village is accompanied with a fresh wind from the mountains. The scenery is absolutely wonderful. The flowers, white painted houses, cypress trees, an old door; they all paint an impressive tableau in your mind. The old cistern was full and the water lilies were dancing on the surface. Excess water ran into a small waterway which flowed downhill towards the church. If you go down a few steps to the next street you will find an arched passage which ends near a grocery store. There are interesting restaurants and cafes in Karmi. 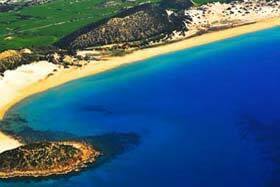 Read on Lapta, Northern Cyprus.